This stylish and comfortable tunic can be used for a week or more depending on the wearer's preferences and then disposed of or recycled. The lightweight, fresh-feeling material is breatheable, meaning no more unnecessary sweatiness on the job. Light yet durable, the non woven material will protect employee clothing during messy tasks. It is not intended to be washed. Economic and elegant, the tunic means ideal protection especially for tasks that involve working with oils and other staining products. 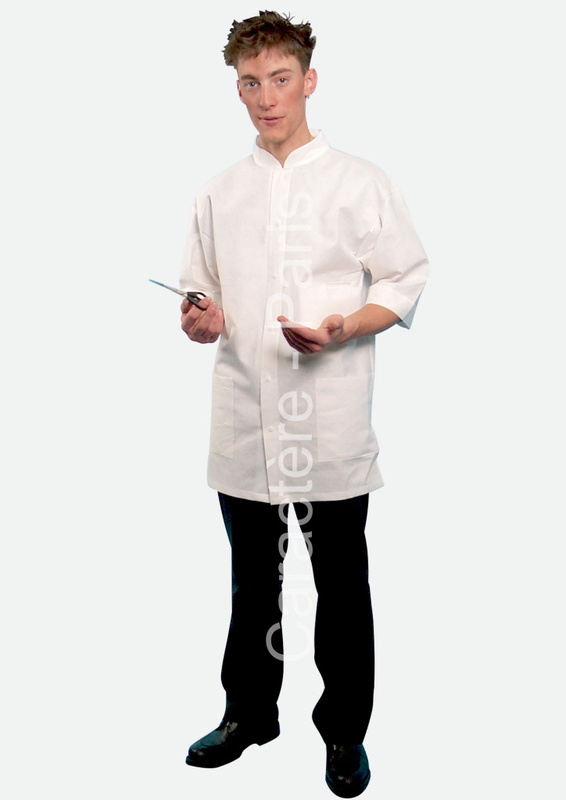 Contains 10 disposable work tunics.